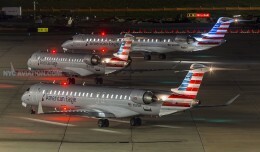 Photo courtesy United/Continental (we're still not sure ourselves). 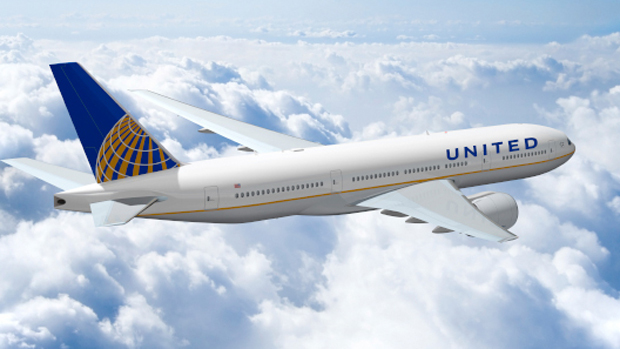 United Airlines and Continental Airlines unveiled on Wednesday refinements to the visual brand identity for the new global airline that will result of a proposed merger between the two airlines. 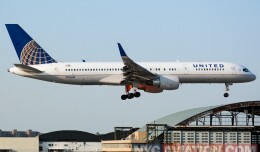 The new logo displays the combined company’s brand name in capital letters (UNITED) in a custom font, joined with the global mark which has represented Continental’s brand image since 1991. A corresponding update of the merged airline’s aircraft livery will adopt Continental’s livery, colors and design, including its blue-gold-white globe image on the tail, combined with the new-styled name on the fuselage. 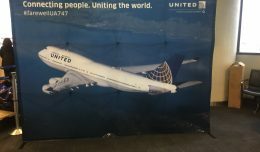 On May 3, Continental and United announced a definitive merger agreement to create a world’s leading airline featuring superior service to customers, expanded access to an unparalleled global airline network, improved long-term career prospects for employees, and a platform for improved profitability and sustainable long-term value for shareholders. 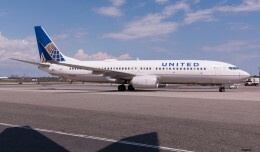 The proposed merger of Continental and United would bring together the most complementary networks of any two U.S. carriers, with minimal domestic and no international overlap. Together, Continental and United will serve more than 144 million passengers per year. The new visual identity is a result of the significant value of each airline’s current brand, while advancing towards the combined airline’s future brand image. 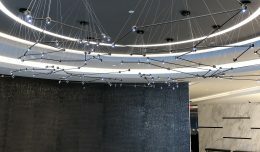 United Airlines opened its newest Polaris Lounge at Newark Liberty International Airport this past Monday. Here are some photos from the lounge on opening day. Take a look at what the government does and doesn't require airlines to do when you're denied boarding for your flight. After United appeared in the news for the "dragging" removal of a passenger, many are asking what bumping, overbooking and passenger rights are. Many terms are thrown around, whether it be by avgeeks, the news media or general public, that have official definitions aside from what is socially thought. Good second attempt. Third time may be the charm. This United font is the correct blend of the CO/UA brand fonts but, appears stark and dominating on the forward section of fuselage. I would soften it just a bit by reversing the CO globe colors with the vertical gold bands in gray and the lateral bands in gold for a smaller logo to be added to the center of the UA font. Softer gray and gold. The final brand mix will appear less disjointed and reduce the flying billboard effect. The CO globe wasn't that great when unveiled years ago, and it was time for a revitalization. too bad they missed the opportunity to use the merger as a vehicle to get something a little better than this mash-up.